In the United States, Tax Day is a colloquial term for the day on which individual income tax returns are due to be submitted to the federal government. The term may also refer to the same day for individual states, even where the tax return due date is a different day. Tax returns in the United States are reports filed with the Internal Revenue Service (IRS) or with the state or local tax collection agency containing information used to calculate income tax or other taxes. Tax returns are generally prepared using forms prescribed by the IRS or other applicable taxing authority. 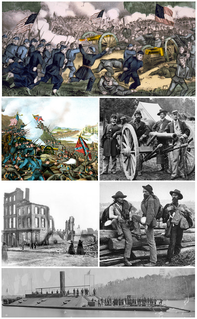 Patriots' Day is an annual event, formalized as several state holidays, commemorating the Battles of Lexington and Concord, and the Battle of Menotomy, the first battles of the American Revolutionary War. Maine is a state in the New England region of the northeastern United States. Maine is the 12th smallest by area, the 9th least populous, and the 38th most densely populated of the 50 U.S. states. It is bordered by New Hampshire to the west, the Atlantic Ocean to the southeast, and the Canadian provinces of New Brunswick and Quebec to the northeast and northwest respectively. Maine is the easternmost state in the contiguous United States, and the northernmost state east of the Great Lakes. It is known for its jagged, rocky coastline; low, rolling mountains; heavily forested interior; and picturesque waterways, as well as its seafood cuisine, especially lobster and clams. There is a humid continental climate throughout most of the state, including in coastal areas such as its most populous city of Portland. The capital is Augusta. The Revenue Act of 1861, formally cited as Act of August 5, 1861, Chap. XLV, 12 Stat. 292, included the first U.S. Federal income tax statute. The Act, motivated by the need to fund the Civil War, imposed an income tax to be "levied, collected, and paid, upon the annual income of every person residing in the United States, whether such income is derived from any kind of property, or from any profession, trade, employment, or vocation carried on in the United States or elsewhere, or from any other source whatever [. .. .]" The tax imposed was a flat tax, with a rate of 3% on incomes above $800. The Revenue Act of 1861 was signed into law by Abraham Lincoln. This Act introduced Federal income tax as a flat rate tax. Pollock v. Farmers' Loan & Trust Company, 157 U.S. 429 (1895), affirmed on rehearing, 158 U.S. 601 (1895), with a ruling of 5–4, was a landmark case in which the Supreme Court of the United States ruled that the unapportioned income taxes on interest, dividends and rents imposed by the Income Tax Act of 1894 were, in effect, direct taxes, and were unconstitutional because they violated the provision that direct taxes be apportioned. 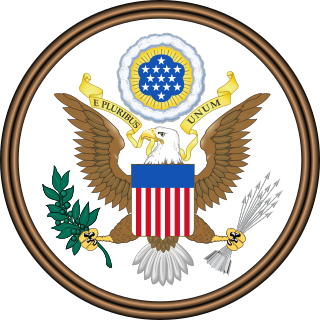 The decision was superseded in 1913 by the Sixteenth Amendment to the United States Constitution. A separate holding regarding the taxation of interest income on certain bonds was overruled by the Supreme Court in 1988 in the case of South Carolina v. Baker. The Revenue Act or Wilson-Gorman Tariff of 1894 slightly reduced the United States tariff rates from the numbers set in the 1890 McKinley tariff and imposed a 2% tax on income over $4,000. It is named for William L. Wilson, Representative from West Virginia, chair of the U.S. House Ways and Means Committee, and Senator Arthur P. Gorman of Maryland, both Democrats. 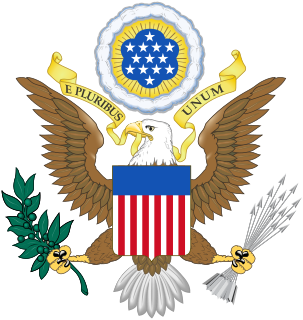 The United States Constitution is the supreme law of the United States. The Constitution, originally comprising seven articles, delineates the national frame of government. 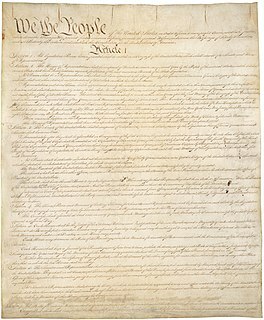 Its first three articles embody the doctrine of the separation of powers, whereby the federal government is divided into three branches: the legislative, consisting of the bicameral Congress ; the executive, consisting of the President ; and the judicial, consisting of the Supreme Court and other federal courts. Articles Four, Five and Six embody concepts of federalism, describing the rights and responsibilities of state governments, the states in relationship to the federal government, and the shared process of constitutional amendment. Article Seven establishes the procedure subsequently used by the thirteen States to ratify it. 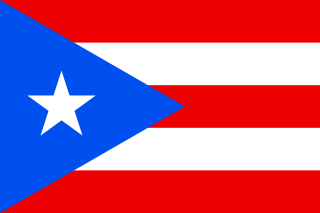 It is regarded as the oldest written and codified national constitution in force. Form 1040 is one of three IRS tax forms used for personal (individual) federal income tax returns filed with the Internal Revenue Service (IRS) by United States residents for tax purposes. The United States of America has separate federal, state, and local governments with taxes imposed at each of these levels. Taxes are levied on income, payroll, property, sales, capital gains, dividends, imports, estates and gifts, as well as various fees. In 2010, taxes collected by federal, state, and municipal governments amounted to 24.8% of GDP. In the OECD, only Chile and Mexico are taxed less as a share of their GDP. A Canadian tax return consists of the reporting the sum of the previous year's taxable income, tax credits, and other information relating to those two items. The result of filing a return with the federal government can result in either a refund, or an amount due to be paid. There is a penalty for not filing a tax return. A tax lien is a lien imposed by law upon a property to secure the payment of taxes. A tax lien may be imposed for delinquent taxes owed on real property or personal property, or as a result of failure to pay income taxes or other taxes. 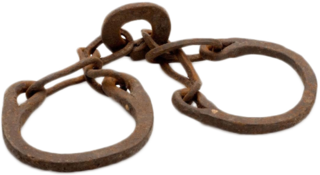 Emancipation Day is observed in many former European colonies in the Caribbean and areas of the United States on various dates to commemorate the emancipation of enslaved people of African descent. A tax refund or tax rebate is a refund on taxes when the tax liability is less than the taxes paid. Taxpayers can often get a tax refund on their income tax, if the tax they owe is less than the sum of the total amount of the withholding taxes and estimated taxes that they paid, plus the refundable tax credits that they claim. Form W-2 is an Internal Revenue Service (IRS) tax form used in the United States to report wages paid to employees and the taxes withheld from them. Employers must complete a Form W-2 for each employee to whom they pay a salary, wage, or other compensation as part of the employment relationship. An employer must mail out the Form W-2 to employees on or before January 31. This deadline gives these taxpayers about 2 months to prepare their returns before the April 15 income tax due date. The form is also used to report FICA taxes to the Social Security Administration. The Form W-2, along with Form W-3, generally must be filed by the employer with the Social Security Administration by the end of February. Relevant amounts on Form W-2 are reported by the Social Security Administration to the Internal Revenue Service. In territories, the W-2 is issued with a two letter code indicating which territory, such as W-2GU for Guam. If corrections are made, it can be done on a W-2c. Form 1099 is one of several IRS tax forms used in the United States to prepare and file an information return to report various types of income other than wages, salaries, and tips. The term information return is used in contrast to the term tax return although the latter term is sometimes used colloquially to describe both kinds of returns. Income taxes in the United States are imposed by the federal, most state, and many local governments. The income taxes are determined by applying a tax rate, which may increase as income increases, to taxable income, which is the total income less allowable deductions. Income is broadly defined. Individuals and corporations are directly taxable, and estates and trusts may be taxable on undistributed income. Partnerships are not taxed, but their partners are taxed on their shares of partnership income. Residents and citizens are taxed on worldwide income, while nonresidents are taxed only on income within the jurisdiction. Several types of credits reduce tax, and some types of credits may exceed tax before credits. An alternative tax applies at the federal and some state levels. The Internal Revenue Service Restructuring and Reform Act of 1998, also known as Taxpayer Bill of Rights III,, resulted from hearings held by the United States Congress in 1996 and 1997. The Act included numerous amendments to the Internal Revenue Code of 1986. Tax preparation is the process of preparing tax returns, often income tax returns, often for a person other than the taxpayer, and generally for compensation. Tax preparation may be done by the taxpayer with or without the help of tax preparation software and online services. Tax preparation may also be done by a licensed professional such as an attorney, certified public accountant or enrolled agent, or by an unlicensed tax preparation business. Because United States income tax laws are considered to be complicated, many taxpayers seek outside assistance with taxes. The remainder of this article describes tax preparation by someone other than the taxpayer. Tax protesters in the United States have advanced a number of arguments asserting that the assessment and collection of the federal income tax violates statutes enacted by the United States Congress and signed into law by the President. Such arguments generally claim that certain statutes fail to create a duty to pay taxes, that such statutes do not impose the income tax on wages or other types of income claimed by the tax protesters, or that provisions within a given statute exempt the tax protesters from a duty to pay. Taxpayers in the United States may face various penalties for failures related to Federal, state, and local tax matters. The Internal Revenue Service (IRS) is primarily responsible for charging these penalties at the Federal level. The IRS can assert only those penalties specified imposed under Federal tax law. State and local rules vary widely, are administered by state and local authorities, and are not discussed herein. Internal Revenue Service (IRS) tax forms are forms used for taxpayers and tax-exempt organizations to report financial information to the Internal Revenue Service of the United States. They are used to report income, calculate taxes to be paid to the federal government, and disclose other information as required by the Internal Revenue Code (IRC). There are over 800 various forms and schedules. Other tax forms in the United States are filed with state and local governments. A tax protester is someone who refuses to pay a tax claiming that the tax laws are unconstitutional or otherwise invalid. Tax protesters are different from tax resisters, who refuse to pay taxes as a protest against a government or its policies, or a moral opposition to taxation in general, not out of a belief that the tax law itself is invalid. The United States has a large and organized culture of people who espouse such theories. Tax protesters also exist in other countries. The Internal Revenue Service (IRS) is the revenue service of the United States federal government. The government agency is a bureau of the Department of the Treasury, and is under the immediate direction of the Commissioner of Internal Revenue, who is appointed to a five-year term by the President of the United States. The IRS is responsible for collecting taxes and administering the Internal Revenue Code, the main body of federal statutory tax law of the United States. The duties of the IRS include providing tax assistance to taxpayers and pursuing and resolving instances of erroneous or fraudulent tax filings. The IRS has also overseen various benefits programs, and enforces portions of the Affordable Care Act. Tax protesters in the United States advance a number of administrative arguments asserting that the assessment and collection of the federal income tax violates regulations enacted by responsible agencies –primarily the Internal Revenue Service (IRS)– tasked with carrying out the statutes enacted by the United States Congress and signed into law by the President. Such arguments generally include claims that the administrative agency fails to create a duty to pay taxes, or that its operation conflicts with some other law, or that the agency is not authorized by statute to assess or collect income taxes, to seize assets to satisfy tax claims, or to penalize persons who fail to file a return or pay the tax. Free File is a service available through the Internal Revenue Service (IRS) which allows U.S. taxpayers to prepare and e-file their federal tax returns for free. Free File provides two options to tax payers: Free File Software, or Free File Fillable Forms. Both the Free File Software and Free File Fillable Forms services are managed and operated by the Free File Alliance, a consortium of private tax-preparation companies. The service is available through the IRS's website at www.irs.gov/freefile. Although the service is accessed via the IRS website, the service is not managed or operated by the IRS. 1 2 "History of the US Income Tax". Library of Congress. Retrieved December 29, 2013. ↑ Tax Guide for U.S. Citizens and Residents Abroad (Report). Internal Revenue Service. 2013. Publication 54. ↑ "Internal Revenue Bulletin: 2011-10". Internal Revenue Service. Retrieved December 29, 2013. ↑ Roos, Dave. "Why do Americans pay taxes on April 15?". How Stuff Works. Retrieved December 29, 2013. ↑ See, for example, Revenue Act of 1861, section 50, Revenue Act of 1862 section 91. ↑ U.S. Constitution, Article I, Section 9. ↑ "Common Interpretation: The Sixteenth Amendment". National Constitution Center. Retrieved April 17, 2018. ↑ Sung, Jessica (April 15, 2002). "Why Is Tax Day April 15?". Fortune. Retrieved March 11, 2010. ↑ "Patriot's Day 2007 Gives Some Taxpayers Extra Tax Time, IR-2006-170". Internal Revenue Service. November 8, 2006. Retrieved March 27, 2013. ↑ "Massachusetts: Where to File Addresses for Individual Taxpayers". Internal Revenue Service. Retrieved March 27, 2013. ↑ Ohlemacher, Stephen (April 18, 2011). "Who's paying taxes? Half of us". Portland Press Herald. Associated Press. Why is the deadline today? (sidebar). Retrieved April 18, 2011. No reference to Patriots' Day and deadline pegged at "midnight tonight." ↑ "Tax Day 2011: Tax Deadlines for Tax Year 2010". eFile . Internal Revenue Service. n.d. Retrieved April 18, 2011. No reference to Patriots' Day and deadline pegged at April 18. ↑ "Due Dates for Certain Tax Forms" (PDF). Maine Tax Report. 21 (1). January 2011. Retrieved April 18, 2011. ↑ Edelson, Harriet (January 8, 2019). "Here's What the Shutdown Means for Filing Your Taxes". aarp.org. AARP. Retrieved March 15, 2019. For most taxpayers, Monday, April 15, 2019, is the filing deadline to submit 2018 tax returns. Because of the Patriots’ Day holiday on April 15 in Maine and Massachusetts taxpayers who live in those states have until April 17, 2019, to file their returns, the IRS said. ↑ "Patriots' Day Gives Certain Taxpayers Extra Day to File Return". accountingweb.com. AccountingWeb. February 14, 2002. Retrieved March 15, 2019. April 15 – known to most citizens as the day tax returns are due – is a state holiday in Maine and Massachusetts. The Patriots' Day holiday celebrates the battles that began our nation's fight for independence. The real Patriots' Day is April 19, but the day is officially celebrated in these two states on the nearest Monday, which this year is April 15...Residents of Massachusetts also file in Andover and are granted the tax holiday. Residents of Maine file in Philadelphia this year, but are granted the holiday because the Maine post offices will be closed on the 15th. ↑ Ellis, Blake. "Tax day extended to April 18". CNN Money. Retrieved December 29, 2013. ↑ "2016 Tax Season Opens Jan. 19 for Nation's Taxpayers". U.S. Internal Revenue Service. December 21, 2015. Retrieved April 7, 2016. The filing deadline to submit 2015 tax returns is Monday, April 18, 2016, rather than the traditional April 15 date. Washington, D.C., will celebrate Emancipation Day on that Friday, which pushes the deadline to the following Monday for most of the nation. ↑ Iszler, Madison (April 14, 2017). "April 15 is always Tax Day, right? Well, not this year. Here's why". News & Observer . Retrieved April 15, 2017. ↑ "IRS Gives Northeast Storms Victims Until April 26 to File Tax Returns". Internal Revenue Service. April 18, 2007. Retrieved March 27, 2013. ↑ "IRS Grants Tax Relief for Certain Northeast Storm, Flooding Victims; Taxpayers Have Until June 25 to File Returns". Internal Revenue Service. Retrieved March 27, 2013.